"Boomerang", новое видео группы ROYAL REPUBLIC, доступно для просмотра ниже. Эта песня взята из альбома "Club Majesty", выходящего 31 мая на Nuclear Blast/Arising Empire. 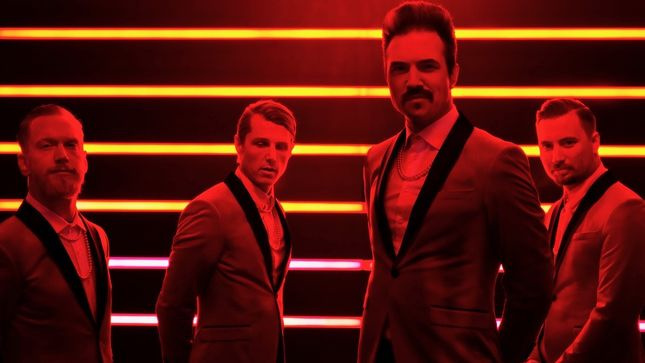 Трек-лист: "Fireman & Dancer" "Can't Fight The Disco" "Boomerang" "Under Cover" "Like A Lover" "Blunt Force Trauma" "Fortune Favors" "Flower Power Madness" "Stop Movin'" "Anna-Leigh" "Bulldog" #Royal_Republic #RoyalRepublic #HardRock #Hard_Rock.